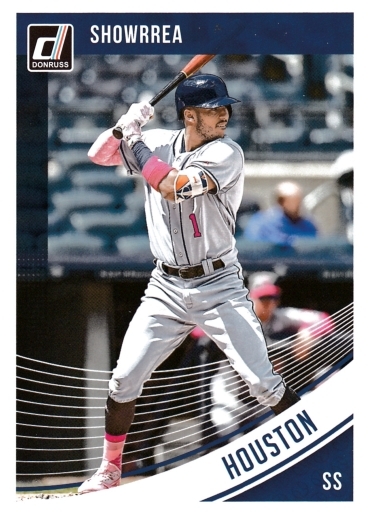 The Donruss 2018 set of 270 cards is now part of the Baseball Card Cyber Museum. 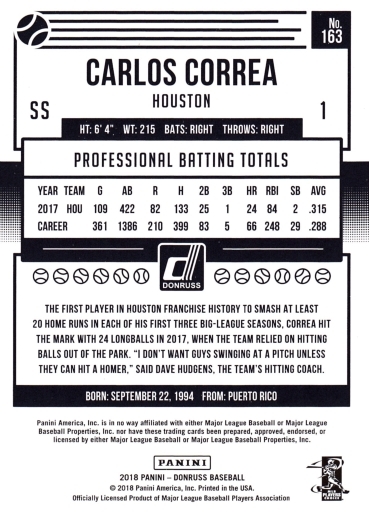 Donruss 2018 offers the expected Diamond Kings and Rated Rookies, established veterans, tributes to Hall of Famers (Mickey Mantle, Nolan Ryan, etc.) and team stars- all without mentioning team names - or showing players without airbrushed uniforms and caps.